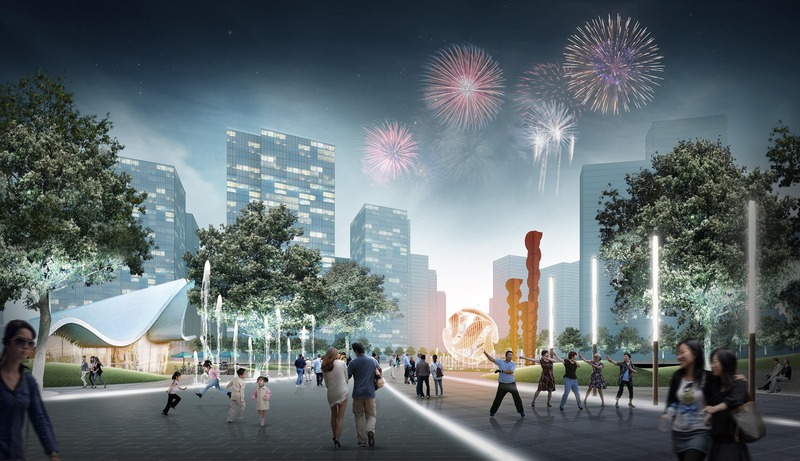 After more than a year waiting, today was announced that MLA+ has won the Banxuegang High-Tech Park Urban Design competition in Shenzhen, China. 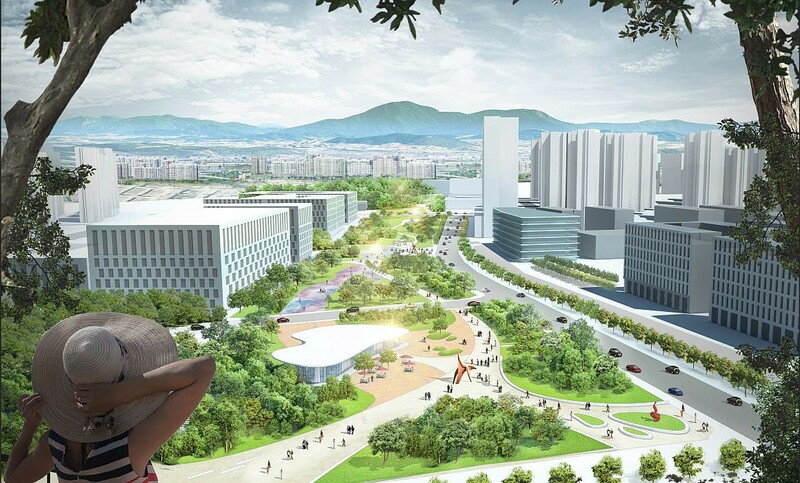 Banxuegang High-Tech Zone is located in a strategic place of Shenzhen and has a good ecological basis. However, the 6 parks within the zone are all fragmented pieces in the city and therefore loose quality. 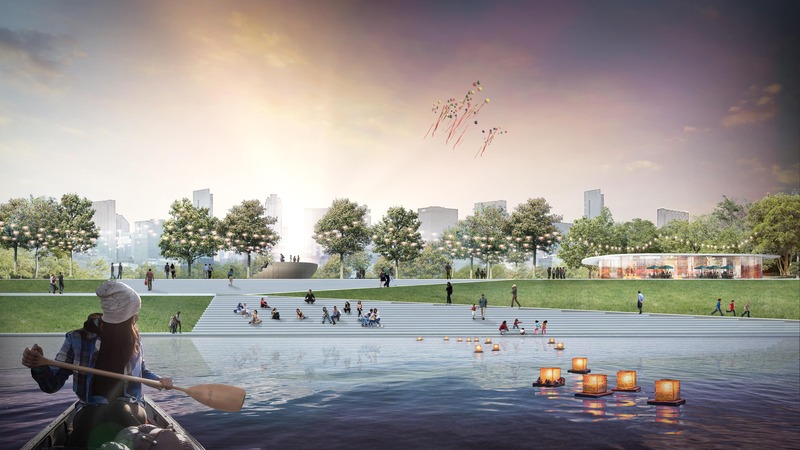 In the Banxuegang urban design competition, MLA+ did not only connect the 6 parks, but also integrated the urban context into the park. ‘The city in the park as well as a city of parks’ forms an important slogan. 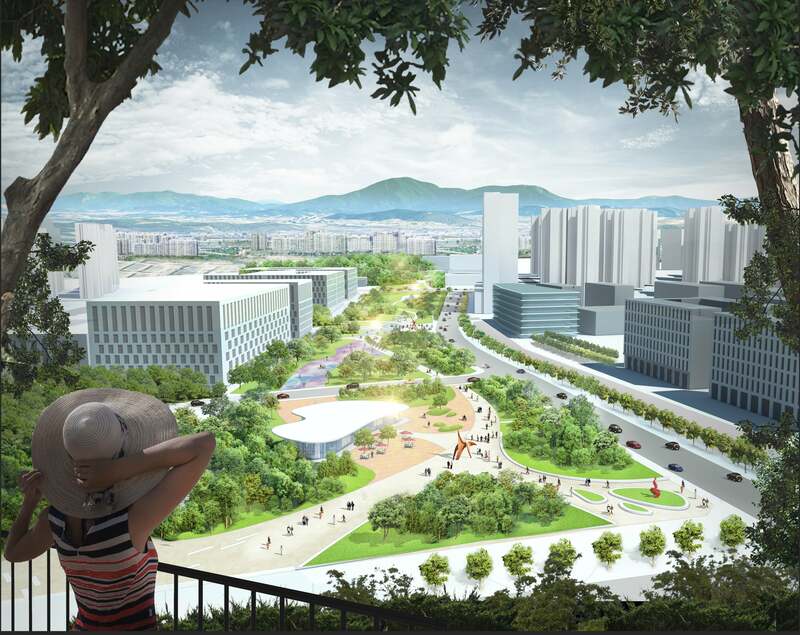 MLA+ designed a Green Nerve network for Banxuegang 2018-2035, which proposed an integration of green and grey infrastructure and utilized the existing urban framework such as roads, railways and rivers to knit the parks to the urban fabric. Large scale long-term planning that integrates a rich green network – the Green Nerve System – of the future smart city Banxuegang. In the coming months, MLA+ together with relevant stakeholders will work on further detailing the proposal.